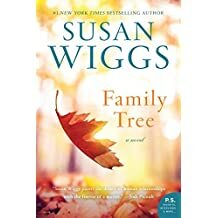 Susan Wiggs newest – Joyce's mystery and fiction book reviews with some non-fiction too! I have blogged on this author before. I wrote about the Lakeshore Chronicles Series, Family Tree and Map of the Heart. Some re-posts below. Between You and Me publishes today. So…I have not read Between You and Me yet. I understand that it tells a story of the Amish, an accident and modern medicine. 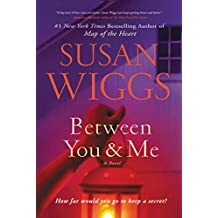 Since it is Susan Wiggs writing, I am certain that there will be romance. It is going on to my summer reading list. If you enjoyed books like The Nightingale and All the Light We Cannot See, you might enjoy this book as well. 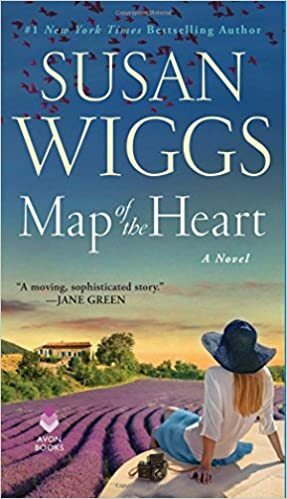 Map of the Heart is women’s fiction but good women’s fiction. It is about loss and love and the ways that loss impacts future relationships and risk taking. The protagonist, Camille, is a photographer who restores old photos. In the novel, through her photography, she uncovers the history of her father and grandparents who lived in France during WW II. Tragedy has made Camille cautious; the reader watches as she slowly learns to again take chances and live fully. The book takes place in both the present and in a French town that was occupied by the Nazis. I recommend it. This book came out in 2016. It tells the story of a woman whose life drastically changes after an accident. I like the book’s setting in Vermont and its exploration of how to move forward after tragedy.